My ebooks are available on Amazon Kindle, Barnes & Noble Nook, and other devices. You can read these books on other devices using FREE Kindle software for PC, Mac, iPad, iPhone, Android, and Blackberry. 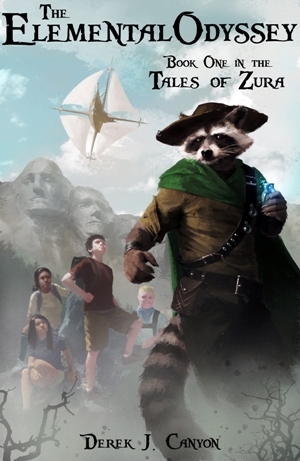 While vacationing in the Black Hills, twelve-year-old Kyle Morgan and his new friends, Susie, Veeksha, and Jurgen, are hauled on board a strange alien ship and forced to help the animal-like Zurans! Now available in paperback for $14.99 here! 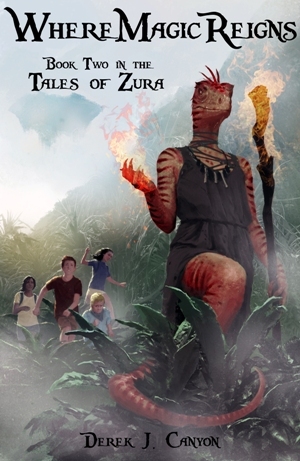 Be sure to read the first book in the Tales of Zura series, The Elemental Odyssey, available at a discounted price, before reading Where Magic Reigns! An anthology of short stories by new, independent authors. Author royalties will be donated to Reading is Fundamental, the the nation's largest nonprofit children's literacy organization. Includes another Dead Dwarves short story by Derek J. Canyon: The Price of Vengeance: In 22nd century Atlanta, Maggie hunts the genetically-engineered dwarf who killed her entire gang. The Price of Vengeance is not available anywhere else. If you like reading about Noose and the other citizens of cyberpunk Atlanta, you'd better buy this book! 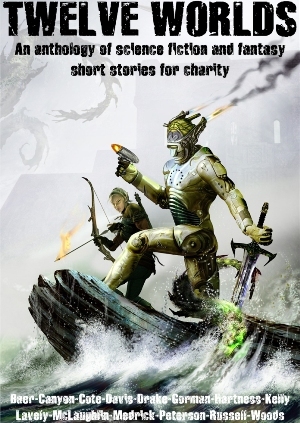 Altogether, this ebook boasts a whopping 14 new short stories by 14 new independent authors. For $2.99 that's quite deal. Gritty, crime-ridden, hard-boiled, non-stop action! Noose, a genetically engineered dwarf mercenary, is caught in an explosive terrorist attack on a neohuman dance club in Atlanta. Stumbling alone and injured out of the flaming carnage, he embarks on a relentless and violent pursuit of the perpetrators, determined to exact his own brand of 22nd-century vengeance. The year is 2134. The nations of previous centuries are gone, consumed by the United Globe government. Citizens are confined to vast metroplexes while the rest of Earth is restored to wilderness. Neohumans are grown in vats, each type genetically engineered to serve humanity – flawless pleasers for gratification and ecstasy, hulking goons for war and violence, accidental psykers wreaking havoc, and more of any shape and size imaginable. Across the squalid underbelly of the Regional Atlanta Metroplex, through the desert wasteland of the not-so-pristine wilderness, and to the peerless towers of elite society, Noose’s brutal quest for vengeance leaves a wake of destruction and death. 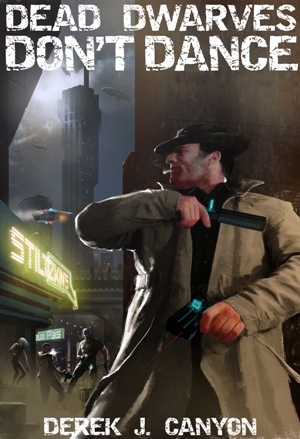 Three hard-boiled short stories of crime and violence set in the technological excess of the 22nd century. Angel: Ross Drake is a cybernetic hit-man who stole millions from his corporation masters. Imprisoned for mass-murder, he escapes with the help of two strange men and a mysterious benefactor. Unfortunately for Drake, they don't just want a piece of the action. They want it all. Gift Horse: Mutilated by rival convicts, Marco Vance is brought back from the brink of death. Outfitted with the latest cybernetic enhancements, he returns to the Regional Atlanta Metroplex as the conquering criminal kingpin. But, his savior demands that he deliver a message to repay his debt. A message that no one will forget. Money Is Everything: Street gangs hunt a deposed crime boss carrying a case of cash. Pursued and friendless, he can trust no one. Except someone he can buy. Luckily, Noose the genetically engineered dwarf mercenary is always for hire. But, what is his price? 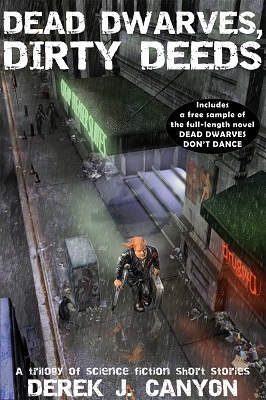 Plus a free 8000 word excerpt of the full-length novel Dead Dwarves Don't Dance. 60 rhyming riddles for puzzling your mind! If you like trivia, crossword puzzles, Jeopardy!, or word games, you’ll love this book. Challenge your wits as you try to figure out the rhyming riddles. Some are easy, some are hard, but all of them rhyme. 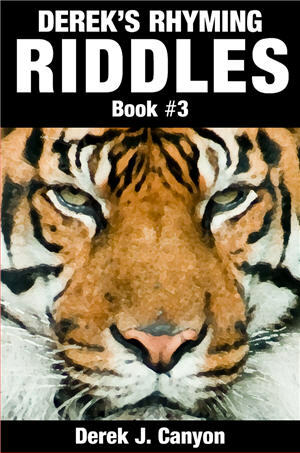 If you want the answers to these three riddles, plus 57 more riddles, they’re all in this book. It’s a great deal at a nickel per riddle! 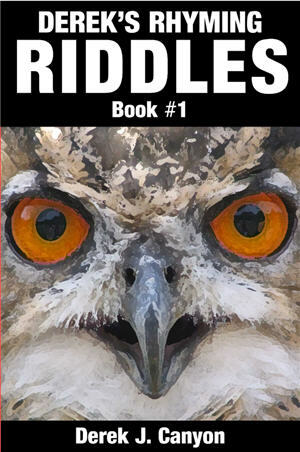 60 rhyming riddles for puzzling your mind! If you like Christmas, trivia, crossword puzzles, Jeopardy!, or word games, you’ll love this book. 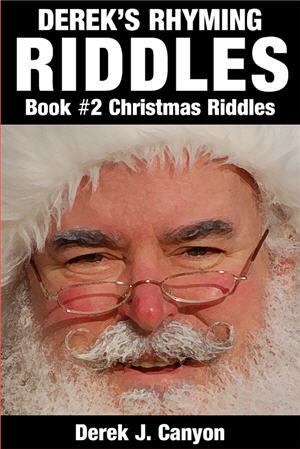 Challenge your wits as you try to figure out the rhyming riddles with a holiday theme. 60 more rhyming riddles for you to puzzle through! If you like trivia, crossword puzzles, Jeopardy!, or word games, you’ll love this book. Challenge your wits as you try to figure out the rhyming riddles. This book provides step-by-step instructions to format your novel from a Word document into HTML so that you can publish it on Amazon for sale to the public. If you don't like the automatic formatting results that Amazon's conversion tools provide, you might prefer to use this book. This book can help you save $75-$150 you could pay to a professional formatter. The goal of this guide is to enable you to (relatively) quickly format your novel's text, paragraphs, and chapters. You can see examples in my novel, The Elemental Odyssey. This book includes a link to an HTML template that you can use for any novel that you want to format into a Kindle ebook. You do NOT need to know HTML. You just need to replace some placeholder text to specify your book information in a text editor. You’ll also need to do a bunch of Finding & Replacing in Word, plus some Copy & Paste. 52 chapters plus 4 appendices. Use Click to LOOK INSIDE above to see the table of contents. 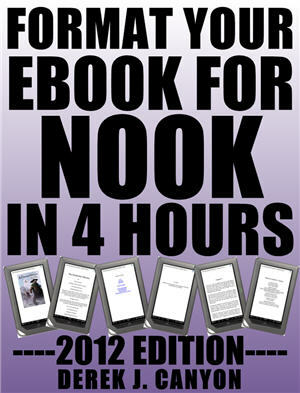 This book provides basic step-by-step instructions on how to format your ebook for the Barnes and Noble Nook so that you can publish it on Barnes and Noble and make it available for sale to the public. This book gives you the necessary steps to format your novel as quickly as possible without using Barnes and Noble's conversion tools. This book is not a reference guide that tells you every minute detail about formatting books for Nook. If you don’t want to pay $75-$150 to have some service convert a manuscript into the Nook format, but you also don’t want to spend a lot of time on it yourself, then this book is for you. This is also for you if you don’t like the automatic conversion results that the Nook tools provide. The goal of this guide is to enable you to (relatively) quickly format your novel in a simple fashion with cover art, title page, dedication page, clickable table of contents, chapter titles, acknowledgments, about the author page, and books by the author page. 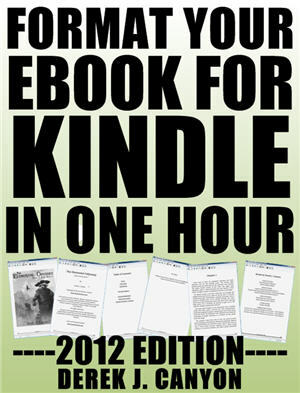 These instructions tell you how to format your ebook in one way, with minimal options. After you learn the instructions in this book, you should be able format your novel in about four hours, unless it’s very long.